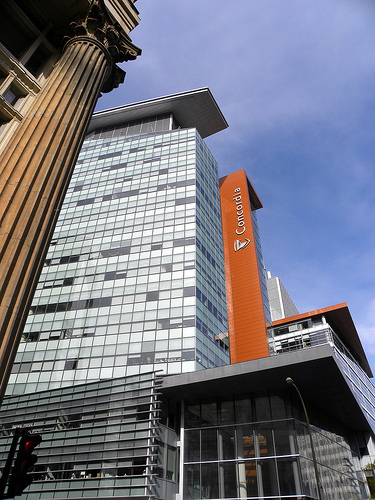 The Concordia Student Union’s (CSU) Judicial Board announced on March 5 that the John Molson School of Business’s Fee Levy opt out petition question will not be put on the ballot at the upcoming general elections, based on the fact that the total fee presented was inaccurate. The total sum of the fees is $1.21, and not $1.50. Standing Regulation 150 states “any referendum question regarding student fees must clearly state the amount of the fee.” Since the total amount petitioned was misrepresented by $0.29, the Judicial Board unanimously found that the question could not go to ballot. The discrepancy in the totals was one of the issues originally brought up at the Judiciary Board meeting on March 4. Other issues, mentioned by Christina Xydous, QPIRG Volunteer and Administrative Coordinator, were that it was prejudicial to include five unrelated groups together in the question. The Judicial Board included the following question in their statement: “is it considered prejudicial to group the six involved organizations into one question and therefore in further violation of standing regulation 150?” but did not include their deliberations. Other technical issues, like whether the petition was considered a motion, were also brought up. The Judicial Board’s ruling stated that “the spirit of the regulations do not regard a motion to be a petition.” Because of that, certain issues brought up by Xydous in the meeting did not apply to this particular question. These included the fact that, according to Standing Regulation 155, a 2/3-majority vote of the Council of representatives is needed to put a fee levy to referendum. It also meant the five-day notice to all concerned parties, which is required for any motion being voted on at Council that would affect space or funding of another CSU group outside the CSU umbrella, did not apply. The petition was originally brought to council on Feb. 12 by three members of the Commerce and Administration Student Association (CASA): President John-Michael Minon, VP Academic Loïc Sanscartier and VP External Michael Richardson. Richardson, who is also a CSU councilor and CUPA’s president-elect, said that a new opt-out system, or opt-in system, is needed. Richardson also said that CASA was willing to work with the affected fee levy groups. “If these fee levy groups really believe in their value we want to give them a chance to show that to JMSB students,” Richardson said.